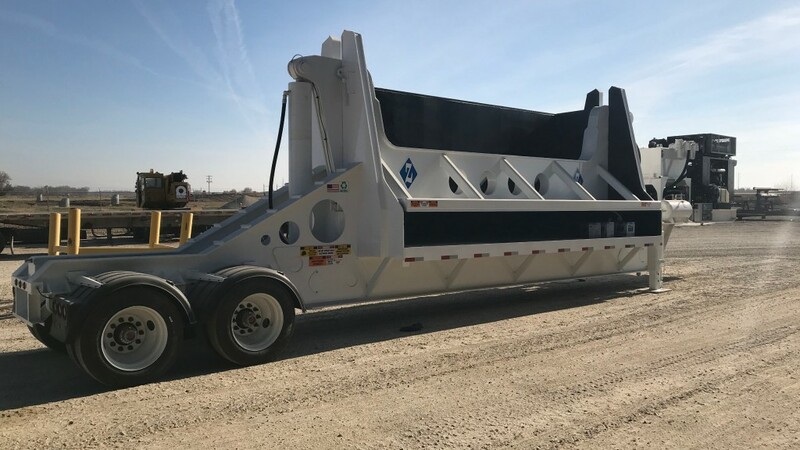 The latest DZCC800 Series Car Crusher is designed with the same quality, durability, productivity and serviceability that Diamond Z is known for, with wood waste grinders, according to the Idaho-based manufacturer. Diamond Z's DZCC800 is built using hardened steel wear areas to maximize the strength and stability of the crushing chamber, and is equipped with an automated crush and rock cycle that maximizes productivity and offers very high level compaction. Additionally, the DZCC800 incorporates Diamond Z's signature attention to safety, ease of use and maintenance. Key features include: a 13-function remote control; intelligent PLC control system for automatic, multi-functionality; additional auxiliary remote functions or manual operation capability; heavy-duty hydraulic landing gear for maximum stability; fluid recovery system with particulate collection for environmentally safe operation; crush chamber lockout for maintenance and safety; and an integrated transport system. The DZCC800's crush chamber is 20-feet wide, chamber depth is 7'8", with cycle times of 50 seconds. These machines are 48'8" in length, 8'2" wide with a transport height of 13'3", with an overall weight of approximately 64,000 pounds. Hydraulics include two crush cylinders, 10-inch cylinder bore and total cylinder force of 323,270 pounds, with system pressure of 2,700 psi. A stationary model is available, and units are either a 173-hp Cummins 6.7 litre Tier 4 final engine, or are available electric powered. Additional options include an auxiliary air compressor tool box, rack and auxiliary fuel tank with pump. Dave Langille started in the scrap metal and auto parts business as a peddler in the late 1980s, working out of a pickup, collecting and selling cores and scrap metal, same as his father and grandfather before him. He was at it from his teenage years into the early 2000s, until in 2006 Langille purchased an auto-wrecking yard in Port Perry, Ontario (about 50 kilometres north-east of Toronto) and established Langille's Scrap & Cores.